The park is pet friendly with lots of brilliant walks just outside your caravan. Church Farm itself is situated next to a large nature reserve and beach/harbour meaning you have plenty of place to explore. And 50% discount off leisure activities and the laundry room. Haven Holidays really look after their owner base and offer exclusive owners only events throughout the season. Click below to enquire about this holiday home. Viewings are available by appointment and we are happy to answer any questions you may have. 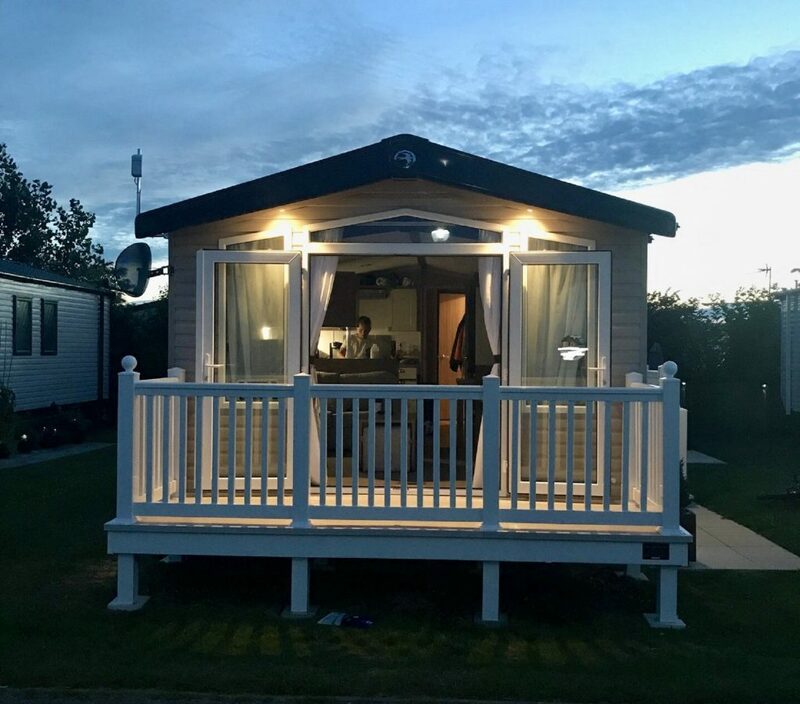 Parklink are delighted to present this stunning Lodge for sale East Yorkshire, situated on a highly desirable holiday Park in East Yorkshire. The East Riding of Yorkshire is a stunning rural location and is the perfect place to own a holiday home. It benefits from having a number of great coastal retreats nearby including Bridlington, Flamborough and Hornsea, amongst others. This particular park is also just six miles from Hull, which was last year named as the city of culture. Whether it’s relaxing fun by the seaside or an accessible city escape, both can be enjoyed from this location. This is the first place you should look if looking for a Lodge for sale East Yorkshire. The Burton Constable Holiday Park and Arboretum is set within the grounds of Burton Constable Hall. The grounds comprise of 300 acres of parkland, meaning there is plenty of opportunities to enjoy stunning walks at this East Yorkshire location. The holiday park is adjacent to the Wycliffe Park, where there are two lakes, therefore it’s perfect if you are partial to a spot of fishing. Other facilities available on the park include a bar, shop, snooker room and boating. The adventure playground and family games room make the park an idyllic location for families to enjoy a break together. Burton Constable Tea Room is also the perfect place for enjoying food and drinks and also has tea rooms. The Willerby Portland 2017 is a two bedroom, two bathroom lodge which is presented for sale in superb condition. This lodge is in tip top condition with remaining warranty. This lodge is in a beautiful spacious position with decking around the front and sides. There is private parking available for upto three cars giving you easy access to this wonderful lodge. Own this exquisite lodge for only 98499 which has 38 years on the license. Why not take the next step! Are you interested in this lodge for sale in East Yorkshire? There is only 1 available so click and fill out details below to enquire direct to the owner. Fabulous large Caravan park with direct beach access to the largest unspoilt sand dunes in North Wales. Top of the range 6 berth Static Caravan in excellent condition. This stunning Pemberton Static Caravan for sale in North Wales comes full double glazing & central heating. This caravan on the North Wales coast is a real bargain for someone. Pemberton make stunning static caravans and the Pemberton Knightsbridge is their top of the range. Equipped with all the mod cons and sited right next to a beautiful beach, you will fee straight at home in this stunning Caravan. This caravan has 2 good sized bedrooms as well as an occasional pull out bed for visitors. The Master bedroom has a kingsize bed with a spacious walk in wardrobe, as well as an en-suite bathroom. The second bedroom has two single beds which can be pushed together to make a double. The Family bathroom contains a large shower cubicle and ample space for family and guests to use. A great location, right next to a sandy beach! Presthaven has everything you could possibly need. There are great bars and restaurants along the beach and plenty going on in nearby Prestatyn which is a lovely seaside high street with plenty of shops to explore. The position of this holiday home could not be better. You can simple sit back and enjoy stunning views of welsh valleys. This holiday home benefits from a large decking area which is not overlooked. This holiday home is for sale privately and the owner is looking for £29,000 and we are informed that this includes the site fees until Jan ’19 and all associated sale fees. Pathfinder lodges are built in Devon to the very highest of standards. 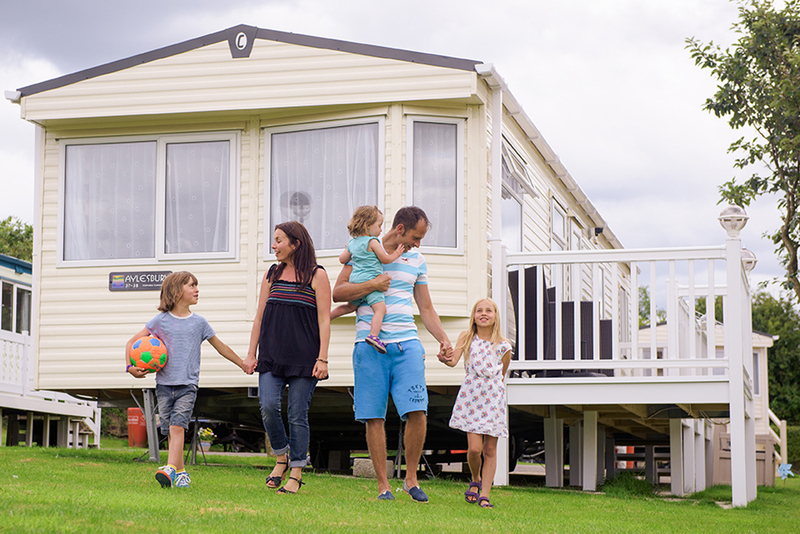 Pathfinder Homes have been the leading, pioneering manufacturer of luxurious holiday lodges. Our designs are innovative bringing ground-breaking concepts to the industry. This has resulted in us winning ‘Ultimate Lodge of the Year’ three years in a row. Our inspirational and architecturally brilliant designs are renowned for fine interiors and awe-inspiring exteriors. Choosing a Pathfinder Home will mean you will get a unique holiday home that fits with your lifestyle. Choose us, and you will not compromise on style. We have a host of beautiful interior design choices to create your dream holiday lodge. Our Core Values represent exactly what we stand for including Innovation, Inspiration and imagination. We will work with you to create your dream holiday home. Pathfinder offer a complete and comprehensive understanding of your own values, lifestyles and wishes. We strive to build the best quality holiday homes available. It is our desire to build you a special place for you to call you own. Click on the link below to request further information on these stunning superior lodges. We introduce The Modena, which is named after the historic North Italian city of Modena. This is a beautiful part of Italy. The Lonely planet suggest that “if Italy were a meal, Modena would be the main course”. Modena is the home of the Ferrari museum. Ferrari’s core values of ‘technological advancement, team spirit and client focus’, mirror our own attention to detail. The Modena – Innovation and customer satisfaction as manifest in this masterpiece of a lodge. Step over the threshold and allow the Modena to draw you in. Just like the Ferrari, the Modena lodge has crafted sharp edges with clean exterior lines reflected internally. This trendy home is packed with stylish features and eye-catching detail at every turn. Almost too many features to mention! The Modena is truly contemporary in design. Like the City of Modena famed for its architectural buildings; the Modena draws on architectural principles to captivate. With its split roof line and inverted dormers creating grand vaulted spaces supported by exposed hand finished timber beams. Upon entering you are greeted by a beautifully custom-crafted vaulted height library bookcase set below a weathered ridge beam. Oblique vertical cedar pillars set within a slate shingle bed (a nod to our Welsh heritage) separate the entrance from the lounge. A large inviting corner sofa and a special swivel accent chair takes pride of place in the lounge. Alongside a stunning stone effect monolithic chimney breast with a complete central cut-away. This gives the effect of a floating stone slab becoming the focal point in the lounge. The kitchen is a masterpiece of its own; stunning simplicity and practicality combining together to create a place to enjoy. The bedrooms ooze luxury and comfort. Full height feature headboards over pocket sprung mattresses. Set between split wood panelled alcoves with feature bedside pendant lights. Underfloor heating below stone-grey floor tiles helps make the bathroom and en suite, spaces to enjoy. The vanity units with full width backlit mirrors and hanging pendant lights either side of the his and hers sink wouldn’t be amiss in a 5-star hotel suite. Rainfall showers and feature alcoves set the bathrooms off with an extra touch of that something truly special. Questions you may like to ask. Bella Vista translates to ‘Beautiful View’ and that is exactly what this home can offer. This residential and holiday home is like no other currently on the market. The exterior is fully clad with an external siding that gives a stylish contemporary exterior. The style does not stop there, as it continues throughout the interior. Spacious open living space gives the Bella Vista a truly outstanding feeling throughout. You are then greeted with a refreshing white gloss kitchen and a contrasting dark grey island unit hosting the stainless steel five gas burner hob. The theme of neutral grey tones and textures with touches of blush pink in accent cushions make this luxury park home a class on its own.